Welcome, all, to Shoestring Elegance and the What to do Weekends Party! Thank you so much, to all of you, who come join us here, each week, with your wonderful Crafts, Recipes and DIY creations. Dawn at Creative Cain Cabin's Ticking Stripe Bedding has me dreaming of bed linens for my room! 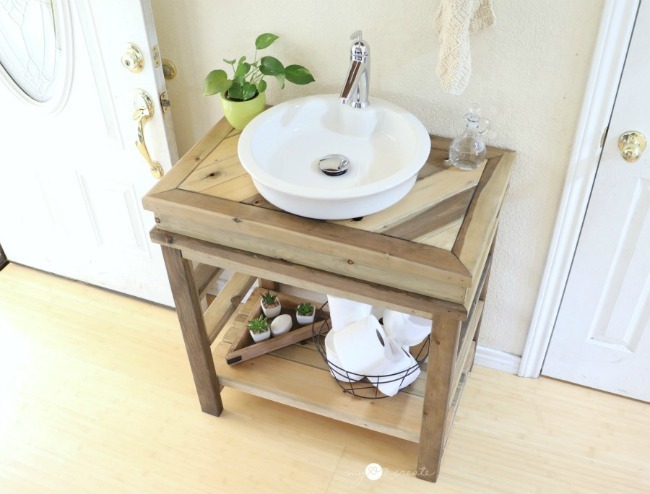 Mindi at My Love to Create's Small Bathroom Vanity turned out just adorable! 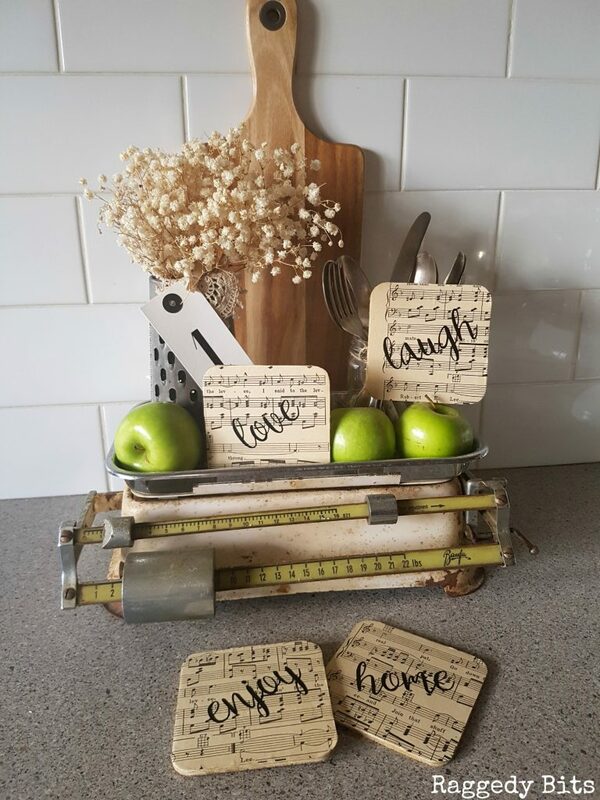 Our Crafty Mom shared this awesome DIY Live Wood Top Pallet Bar perfect for Fall. 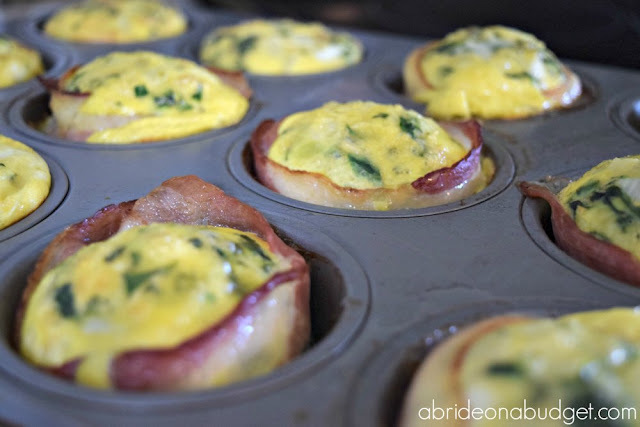 I LOVE Bride on a Budget's Bacon Wrapped Egg Muffins what a fun idea! 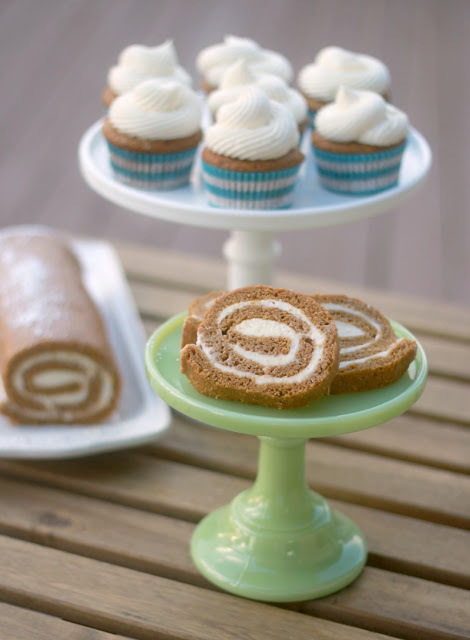 Crazy for Cookies and More shared her recipe Gorgeous Pumpkin Spice Cake Roll another recipe I need to try! Thank you all for the wonderful shares! You made last week's Party our Biggest yet!! 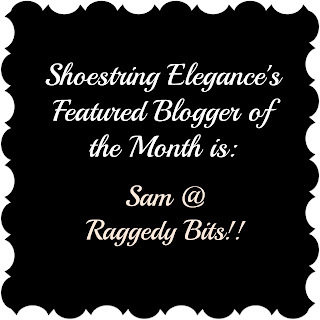 Please don't forget to visit our first Featured Blogger of the Month!! Something Linda and I will be each doing every month from now on. so without much ado, Here you have it! This month was Sam's! 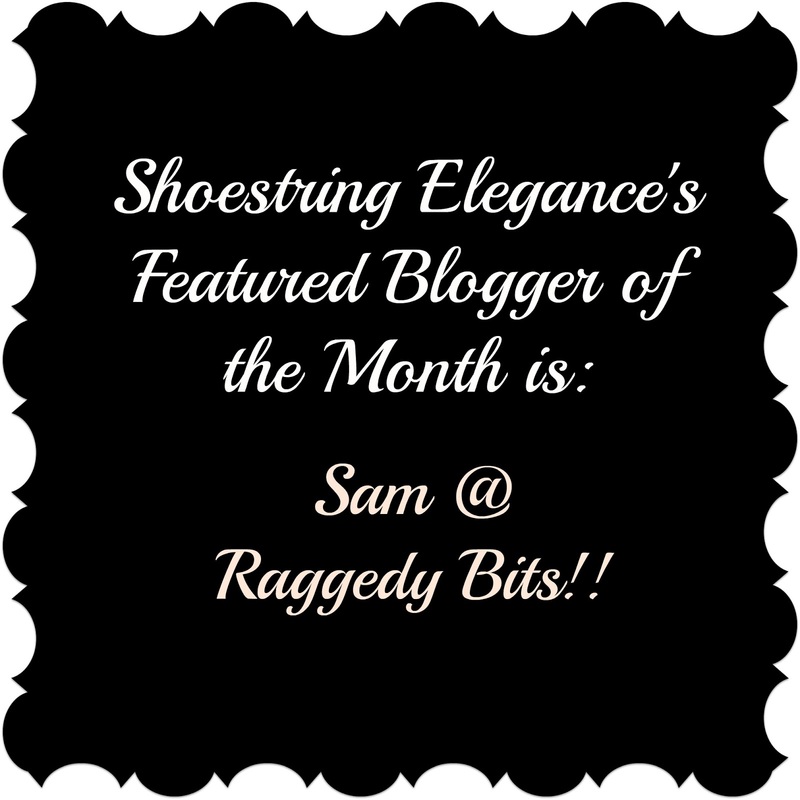 If by any chance you have not had the pleasure of visiting Sam's Wonderful Blog, Raggedy Bits, please take the time, now and pop over and show her your support. I'm sure you will all agree she has quite a bit to offer! Congratulations, Sam! Thanks for all the wonderful Inspiration!! Linda has a Featured Blogger for the Month of her own!Be sure to pop over to Linda's @ Crafts a la Mode, now, to see if you were one of Linda's Features! Thank you so much for choosing my bacon-wrapped egg cups out of all the wonderful projects to feature. What a surprise to come link up this week and see it featured! Have a great week. Lisa, you are so welcome! I'm sorry it was such a surprise. I was sure I had left you a comment. If not, my mistake. Congratulations and thank you for sharing with us! 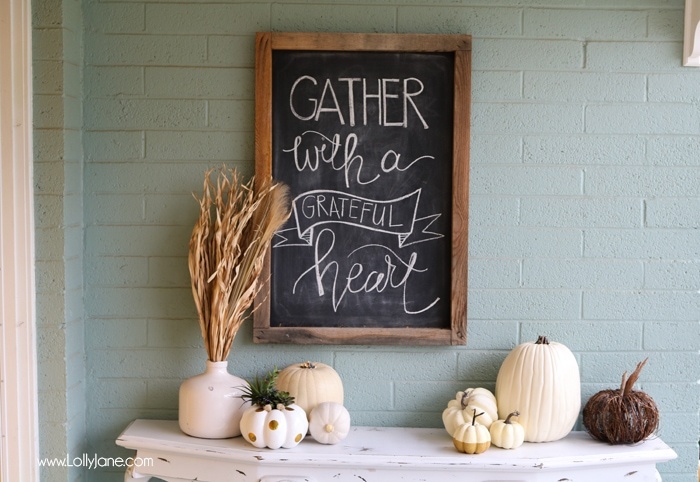 Thank you so much for featuring my pumpkin bread and for hosting your wonderful party each week. Enjoy your weekend, Theresa! Carol, Completely MY pleasure! thank you so much for sharing it with us! 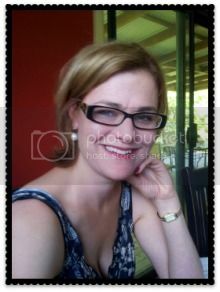 Thank you for stopping by and leaving such a nice comment and invitation to join your weekly linky party. Look for me at your next party... I plan to be there. It was completely my pleasure. I look forward to seeing you. Thank you so much for the visit! Oh yum there are so many goood recipes on here this week! Thanks for hosting!